By the afternoon of 28 April 2011 it was fully apparent that the unthinkable had happened. 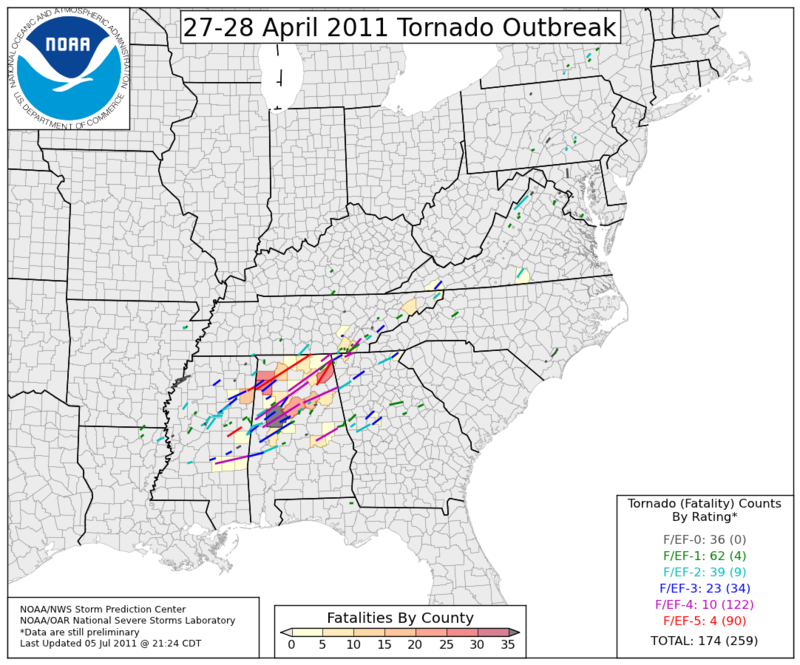 In an era of unprecedented communication abilities, a single tornado outbreak took the lives of more people than all the tornadoes over the past several years combined – in broad daylight no less. In the days the followed, many tried to place this event into historical context. 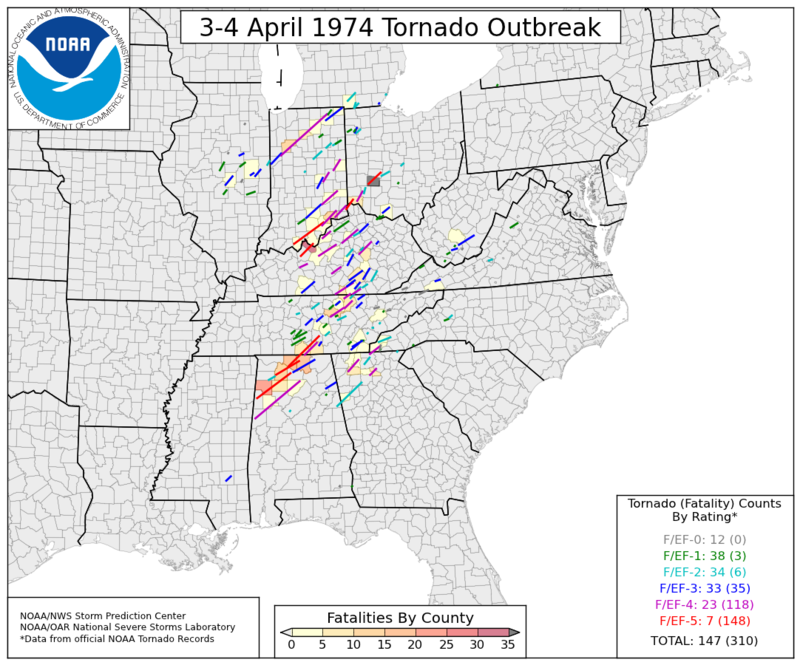 Nearly every one defaulted to the 3-4 April 1974 “Super Outbreak”. Meteorologists (and others) can, and will, debate for years as to which event was “more impressive”. I know what my thoughts are, but I’ll spare you those. However, please feel free to leave your thoughts in the comments. The two images above are on the same background. This means if you download both of them and flip back and forth between the two, the only things that should change are the county colors and tornado tracks. 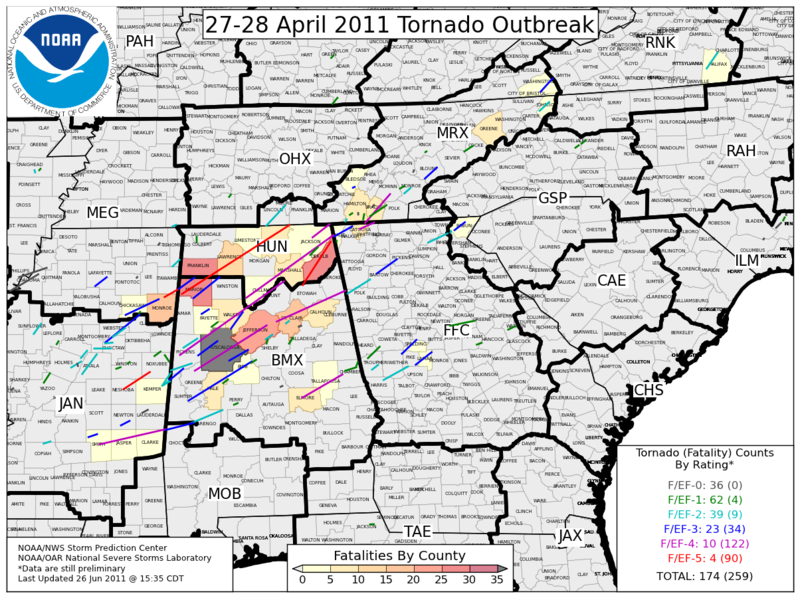 Below is a zoomed in version of the 27-28 April 2011 event, complete with NWS County Warning Areas and County Names denoted.